Well, well, well. It’s a rare day when one of my UPDATEs gets media attention. But, when a Governor who flies all over the globe, leaving a large carbon footprint in the process, to preach against global warming, vetoes a bill that addresses the reduction of greenhouse gases, I do get fired up (see MOORLACH UPDATE — Fire Prevention Not Embraced — November 13, 2018). Politico did it in their “California Playbook” column. Instead of including the entire column, I’m just providing the brief mention in the first piece below. The Daily Caller weighs in on the subject in the second piece below. It baffles me that a Governor so consumed with addressing global warming would veto a bill that attempted to reduce wildfires, a major creator or greenhouse gases. But, would SB 1463 have saved lives if Gov. Brown had signed it? Who’s to know. The answer is an obvious “maybe.” But, if the goal is to reduce greenhouse gases, why not put a little more pressure on the California Public Utilities Commission and CalFire to expedite the process? In California, Sacramento is managed through legislation. The CPUC and CalFire had more than 8 years to get the job done. I have a community in my District that is in a wildfire zone and lost 441 homes 25 years ago. For the Governor to assume that these two bureaucracies would move at a faster clip is, in my opinion, a serious error in judgment. What if Malibu would have been ranked as a high-risk area? Or Paradise? Perhaps some form of mitigation may have been pursued by the utility companies. But for an apostle espousing the impacts of climate change to do nothing makes no sense on several levels. Getting to the bottom of this concern is none other than Snopes. They weigh in with a mixed review in the third piece below. Snopes evaluates a piece by Katy Grimes of the Flashreport back in August of this year (see MOORLACH UPDATE — Spewing Carbon Into The Air — August 8, 2018). This is the first time I’ve been mentioned in a Snopes piece. It’s unfortunate that they did not contact me or my office in doing their independent research. One wonders if quoting a government bureaucracy that is covering its tracks is a valid refutation. And using terms like “prevalence” and “risk” certainly begs for a longer rebuttal on my part, which may come in a future UPDATE. If only Governor Brown would have made hardening electrical lines as big a priority as building his high speed rail over the past eight years, just maybe this veto would not have occurred and generated so much social media attention. — FIRED UP: Republican state Sen. John Moorlach, in a blog post, argues that Gov. Jerry Brown had a big chance to push for fire prevention in his bill, SB1463 — and vetoed it. “I thought the adventure with my bill to address electric line-caused conflagrations in wildfire zones with SB 1463 (2016) had run its course.” Read it here. Brown, however, did sign legislation in September that would dedicate some funds raised through California’s cap-and-trade program to forest management. Moorlach support the bill, but said Brown should have acted sooner to mitigate wildfire risks. Brown’s office did not respond to TheDCNF’s request for comment. 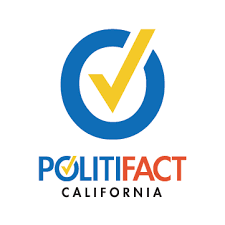 There is no evidence that Brown’s veto contributed to or exacerbated the risk or prevalence of wildfires in California, and the California Public Utilities Commission provided details showing that it had already been engaged in work similar to the proposals contained in SB 1463. With Senate Bill 656 being only the second bill I have had vetoed over my entire public service career, it provides an opportunity to share that I do not react well to vetoes. By this, I mean that I may come back with a different or improved iteration in a subsequent Session. I hint at it in my release on SB 656’s veto, which is provided by the Orange County Breeze in the second piece below. Allow me to further explain what I mean. I authored Senate Bill 1463 in 2016. It is the first bill of mine that Governor Brown vetoed. It tried to prevent wildfires caused by disrupted or broken electric power lines. Tragically, in the two subsequent years after the Governor’s veto, numerous innocent and mostly elderly people have died as a result of wildfires from electric transformers and lines sparking in high gust weather conditions. SB 1463 (2016) would have, at the minimum, accelerated the fire prevention efforts at the California Public Utilities Commission and CalFire so the electric utilities could have had the validation to expedite their processes of hardening the infrastructure that causes fires. Not that SB 1463 would have stopped all of the fires we’ve seen. But, can you imagine what may have transpired if Gov. Brown had taken this bill seriously? Perhaps there could have been one or two fewer fires. Some mitigation efforts to strengthen lines or transistors could have been easily done. When Sen. Bill Dodd (D – Napa) introduced SB 901, I immediately asked to be a coauthor. I do not coauthor many bills. But, it was focused in the same vein as my redux of SB 1463 in 2018. I used the same bill number as two years prior, but added the use of Cap and Trade revenues to fund hardening the utility lines around the state. That funding would have brought upwards of $600 million annually to address California’s problematic and ostensibly, reduce GHGs caused by wildfires. My bill was killed in the first Senate committee hearing. This bill had no formal opposition. I can only assume the Committee members who voted against it were more concerned about their pet AB 32 projects than about actually reducing GHG emissions. But, SB 901 became the vehicle for a massive wildfire reform package. For my Senate colleagues in the impacted areas, it created a Conference Committee near the conclusion of this year’s Session to address dealing with utility caused wildfires. And, why not? I stood up on the Senate Floor on many occasions to point out the massive loophole in AB 32’s efforts to reduce greenhouse gases because it did not include those generated by wildfires. So much so, that a few days of wildfires generate more GHGs than all of California’s cars driving for an entire year! When asked by the Sonoma Valley Sun, for the first piece below, why I voted for a bill that would cost PG&E ratepayers a lot of money, I had two responses. The first is that I have very few PG&E ratepayers in my District. A calloused answer, I know. But, if you live in areas with a higher fire danger, there is an increased cost for addressing this risk. The second answer was that SB 901 took my recommendation to use Cap and Trade revenues, to the tune of $200 million per year over five years. This is an appropriate use of this unique tax in addressing the generation of GHGs by reducing wildfires. Not all of my bills will be signed by the Governor. But, when a core piece from one of my bills shows up in another bill, thereby having my fingerprints, then I just may be on board. I even stated the same in behalf of SB 901 on the Senate Floor during the waning hours of this year’s Session (see https://www.youtube.com/watch?v=-rEQ9uM7P-o). All to show that my office is providing a full portfolio on critical issues facing California, besides pension liabilities and unrestricted net positions. There is so much to do. And, sometimes, the Legislature picks up on an idea that, I believe, makes sense. At the one-year anniversary of the fires which burned nearly 200,000 acres and claimed the lives of over 40 people in Sonoma and Napa counties, the cost of rebuilding is beginning to take shape — as is PG&E’s ultimate responsibility to pay for it. The bills are still coming in, and lawsuits against the utility pending. But State Senator Bill Dodd, whose district was ravaged by the fires, thinks the figure is about $10 billion. His SB 901, signed into law by Jerry Brown, authorizes that much in bonds. To back those bonds, every PG&E ratepayer, even those outside the fire area, will now see $50 added to the monthly bill — for at least 20 years. The other $5 billion will come from PG&E itself. In the immediate aftermath of the fires, blame seemed to be focused solely on PG&E, and the company began a defense on multiple fronts. Because of a legal doctrine known as Inverse Condemnation, PG&E knew that it couldn’t fight any legal battles in court because of the way the language is structured in that particular law. 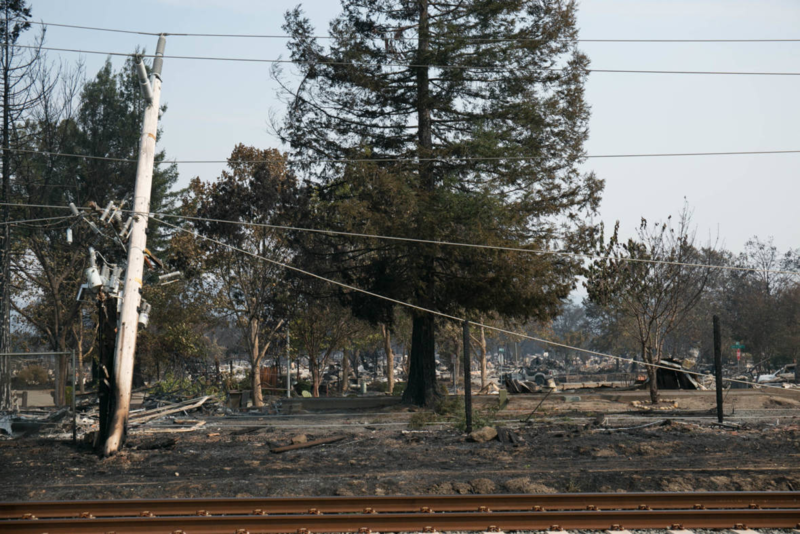 The law in essence says that even if PG&E did everything it was supposed to regarding maintenance and equipment, as mandated by the state-run California Public Utilities Commission (CPUC), it would be liable — no matter what. With this in mind PG&E began a media campaign to improve its image. It ran ads profiling how the company interacts with the community. It also ran commercials on how much money it spends on overall maintenance, its equipment, and its program to trim tree branches from around power lines. 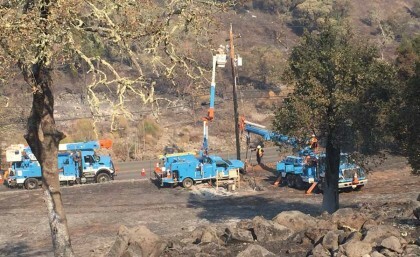 PG&E said it spends $1 billion annually cutting down dead trees and dry brush. PG&E also blamed climate change as one of the main factors in last year’s fires, something that Governor Jerry Brown has also strongly advocated. In Sacramento, PG&E lobbied legislators to find a compromise that would allow the company to continue without facing bankruptcy. The legislature and the governor went back and forth with a number or proposals before settling on SB 901. The chief architect of this bill was state Senator Bill Dodd (D-Napa). The Sun recently interviewed both Dodd and Senator John Moorlach (R- Orange County) to get an overview of the bill. According to both Senators, the 100-plus-page bill addresses the issue on several fronts. A) It makes it easier for PG&E to engage in forest management including tree cutting and disposal of dead wood and dry brush caused by the recent drought. B) Working alongside the CPUC, PG&E will begin the preliminary process of designing underground power lines. C) A financial “stress test” will be conducted to determine how much PG&E can pay without causing it to go into bankruptcy and cause its stockholders, many which are elderly and depend on a limited return from these stocks, to continue to invest. Senator Dodd suggested that SB 901 will allocate approximately $10 billion in the form of bonds that will immediately be available to plaintiffs suing PG&E. For their part, ratepayers will be assessed that $50 monthly surcharge. With over 200 individual lawsuits and virtually every city, county and municipality affected by the fires engaging in their own lawsuits, the assumption from Senator Dodd is that $10 billion will be enough to cover all costs. But it does not address overruns, and it is far from exact. One of the cities suing PG&E is Santa Rosa. “Honesty I don’t know, as the city is still assessing how much damage the fires caused so at this point there is no price tag,” Assistant City Attorney Adam Abel told The Sun. To complicate state budget matters, SB 901 does not address claims in connection with lasts year’s devastating fires in Southern California. Or more recent fires in Redding and beyond. As noted, all PG&E customers will chip in with that monthly $50 fee — no matter where they live. Diana and Doug Gill, visiting Sonoma from Livermore recently, say the situation is frustrating. They understand that someone has to pay for the overall costs but are demanding more answers. Diana questioned not just the cost of the fire but the cause, as she doesn’t believe that a fire could have spread as rapidly as it did. Like many, she questions if there is a missing element that hasn’t been made public. SB 901 was signed into law on Friday, September 21. Brown, whose term is ending this year, has said that long, epic fire seasons will be the new normal in California. How to pay for them remains the question. A plausible possibility is a bill that didn’t pass, but could come back in the next session. AB 33, introduced by East Bay Assemblyman Dr. Bill Quirk (D-Hayward), would have also issued a series of bonds to expedite payments, but had no ceiling price cap. The bill would authorize as many bonds as needed — $50 billion or more was a number mentioned by Quirk’s office. That figure may have been too high for an election year, but the 2019 legislature might reconsider such an option when the costs of fighting more recent fire disasters come due. I am disappointed that Gov. Jerry Brown today vetoed Senate Bill 656, which I authored. At a minimal cost, it would have made key changes to the retirement system of the pensions of California judges, encouraging our best lawyers to seek these positions, and our best judges to stay in them. More than 800 California Superior Court Judges signed on in support of SB 656, as comparable retirement incentives for all state employees was a fair and just modification to make. And providing the appropriate benefits ensures judicial quality and integrity, which are essential to our democracy. Specifically, SB 656 would have authorized a judge, who is not otherwise eligible to retire with a monthly allowance, to retire and receive the annuity at a later date upon reaching the prescribed retirement age. It would have permitted those judges who face difficult personal circumstances in their later years, such as caring for an ailing spouse, to leave office with the promise of later taking the retirement they worked so hard to achieve. That means the current system is retained. Under it, if a judge must leave office early, he or she must take a lump sum payment instead of retirement annuity, a reduction in benefits that discourages the best from seeking and accepting these posts. I want to thank my staff, who worked on this bill for two years, for all of their hard work. I also want to thank the staff at the California Public Employees Retirement System for their assistance in drafting the language. Most importantly, I want to thank the majority of California’s Superior Court judges who took the time to encourage us in this endeavor. This year Gov. Jerry Brown signed into law two of my three bills that reached his desk. I want to thank him for those he signed. But, I believe that SB 656 is so critical to the morale of our judicial colleagues, that I am considering reintroducing this necessary solution again next year under the next governor.